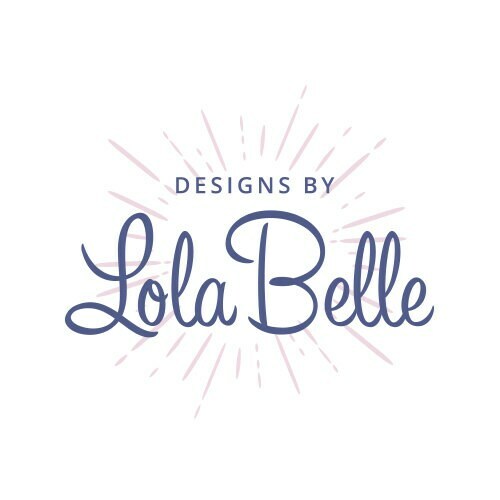 Welcome to Designs by LolaBelle. I am so pleased you dropped by to view this listing. A Buddha is any person who is thought to have reached their own ultimate personal and spiritual enlightenment, or nirvana. 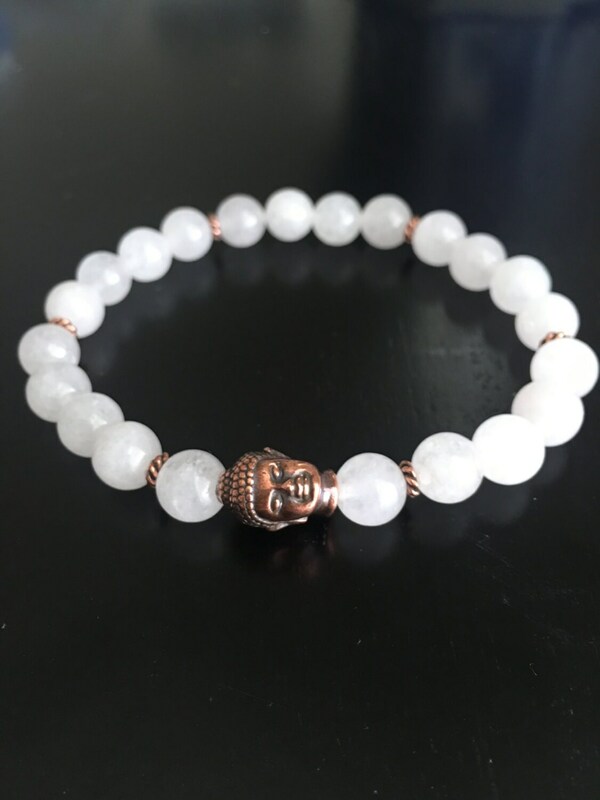 Snow Jade, or Milk or Snow Quartz, is a said to provide peace and to soothe the spirit of the one who wears it. This stone is also believed to aid in mediation and self-reflection, and to boost one’s immune system. 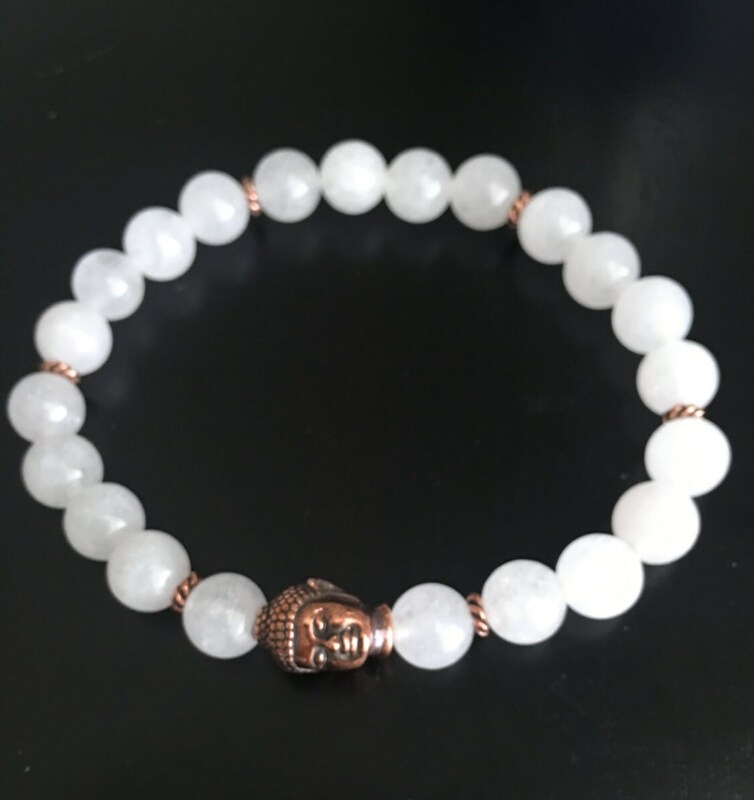 I used 8mm round Snow Jade beads, 4mm copper plated spiral disc shaped spacer beads, and a 13.5mm 3D copper plated Buddha charm to complete this bracelet. This piece measures 7.75 inches and is strung on 0.80mm clear elastic power cord. 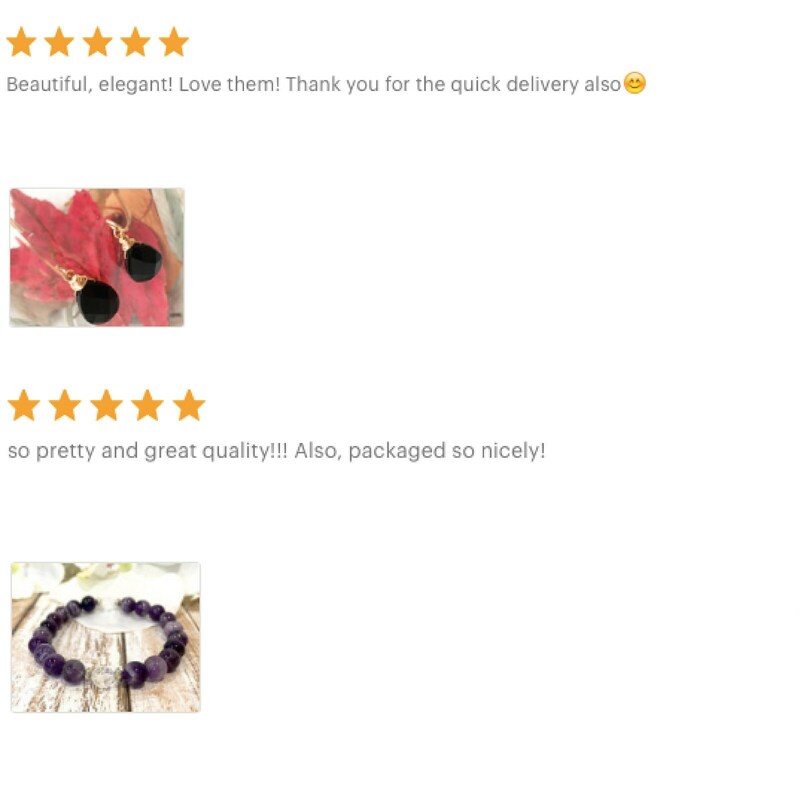 Your order will be packaged and shipped in my lovely standard packaging, which is perfectly suitable for gift giving. However, if you prefer more formal gift wrapping, please choose my signature gift wrap from the drop down menu, when placing your order. Please note, there will be an additional charge of $4.00 for signature gift wrap. 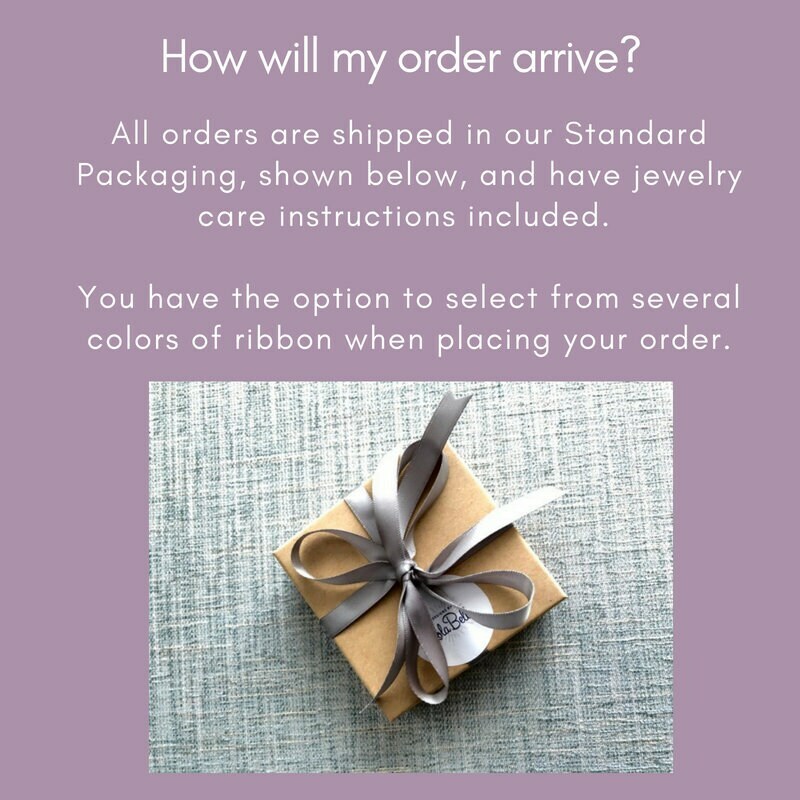 Would like a different color ribbon for your special gift? Please choose from the color options in the second drop down menu. To maximize the life of your handcrafted jewelry, limit contact with lotions and cosmetics, and store your jewelry in a cool dry place, such as jewelry box or cloth bag to protect it from tarnishing. If tarnishing should occur, simply remove by polishing with a soft, clean cloth. Wear your stretch bracelets with care. Always roll the bracelets on and roll them off. Do not pull the bracelet on or off. 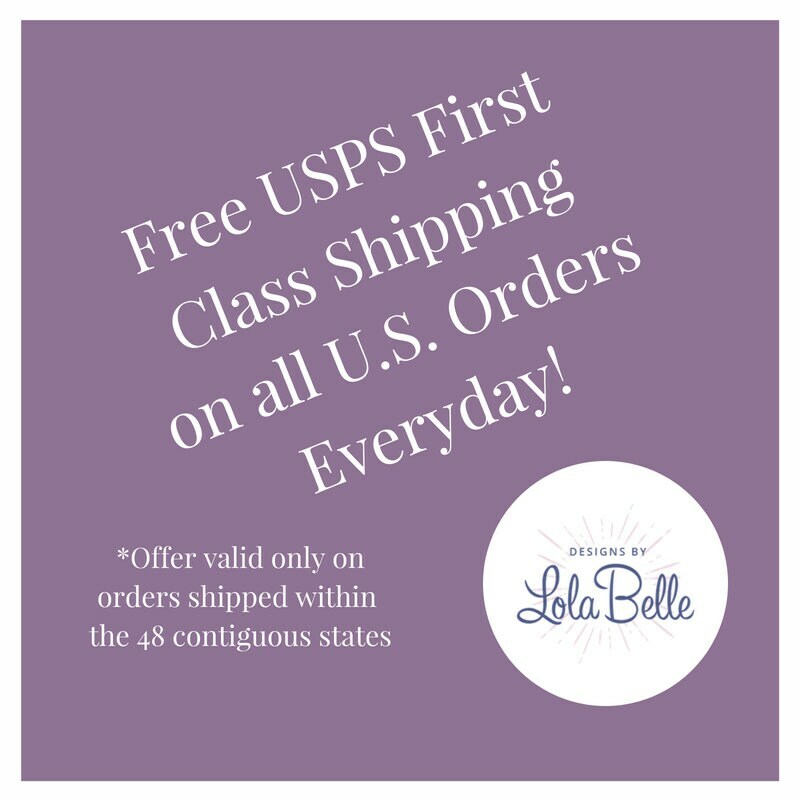 *If you prefer faster shipping, you may choose to upgrade to USPS Priority Mail. Just add the photo of the USPS Priority Flat Rate Envelope to your cart before you proceed to checkout. Please note there will be an additional charge of $8.50 for USPS Priority Mail.